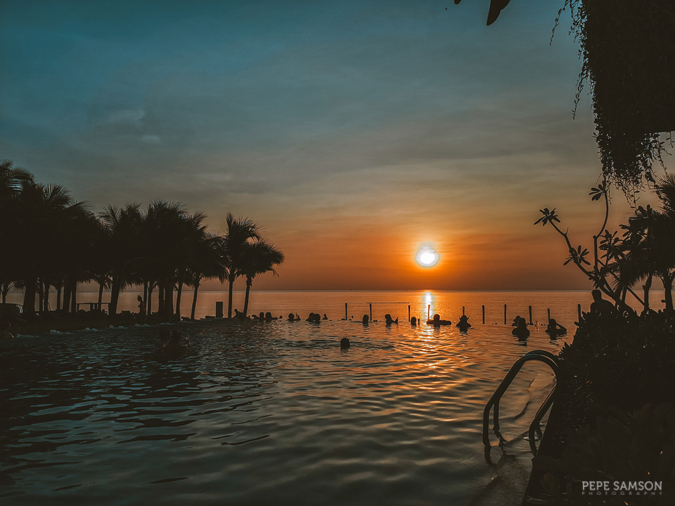 Phu Quoc, Vietnam’s largest island, is a “secret” hideaway located in the Western side of the country—off the coast of Cambodia in Thailand Gulf. 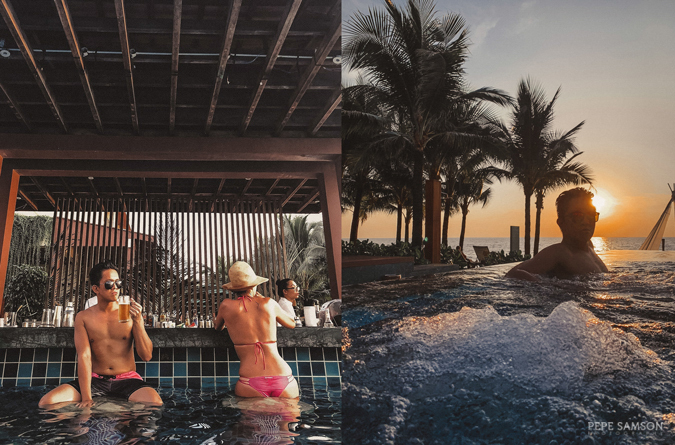 Boasting of white sand beaches, palm-lined coasts, a UNESCO World Biosphere Reserve nature park, and a rich marine life, the island offers a relaxing and indulgent getaway in Vietnam—a vibe completely different from the country’s busier destinations like Saigon and Hanoi. 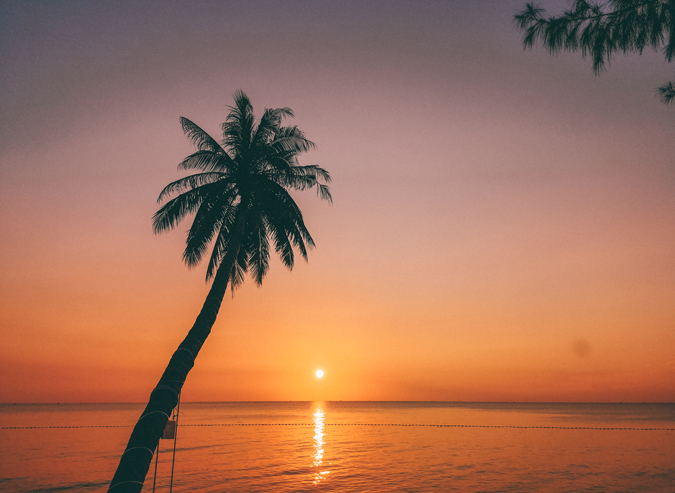 With its 19 alluring beaches, Phu Quoc is fast becoming a premier beach destination, with big hospitality brands all eager to introduce themselves to the island’s predominantly Western market. 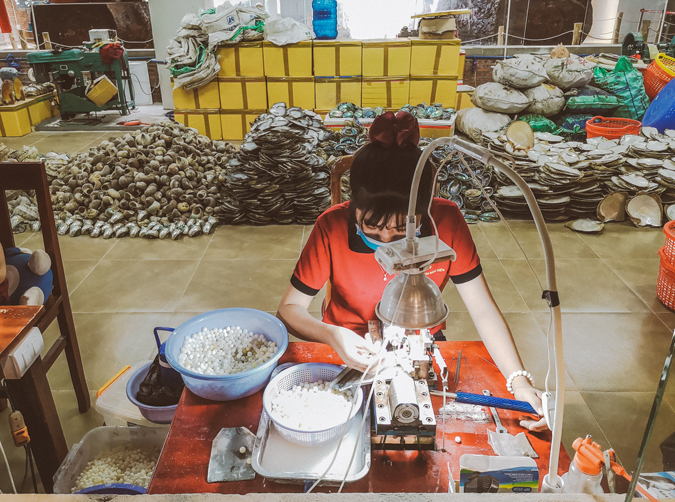 In recent years, the once-untouched island has become witness to a lot of constructions, including an improved road system that now makes exploring Phu Quoc very easy. As always, people would have contradicting opinions about over-development; I say, go check out Phu Quoc before it falls into the trap of mismanagement (hopefully, it doesn’t). I remember being in Koh Rong Island in Cambodia in 2017, looking at the horizon, at the small islands. Someone told me that those islands were already part of Vietnam—apparently, it was Phu Quoc. This beautiful memory made me smile as I sat in Phu Quoc, this time gazing at Cambodia from a distance. 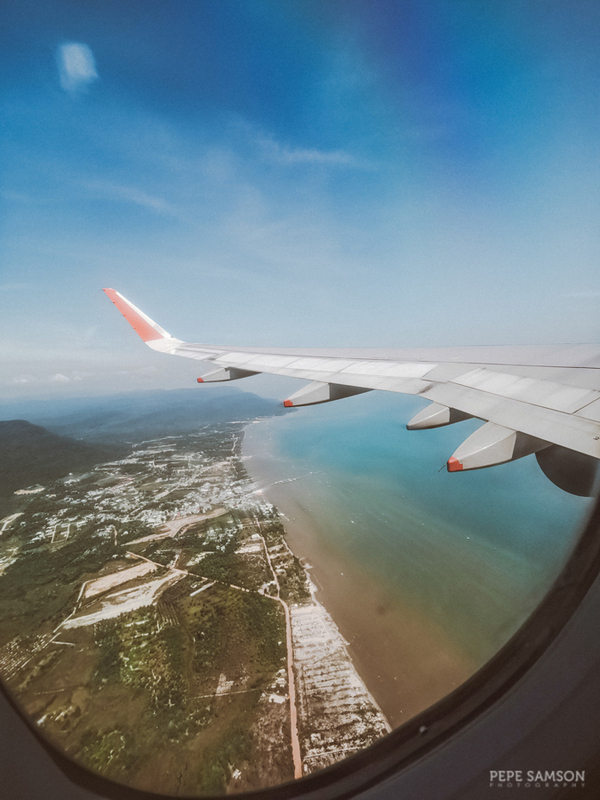 As of writing, there is no direct flight to Phu Quoc from Manila—you need to go through Ho Chi Minh, Hanoi, Bangkok (Thailand), or Guangzhou (China). The best (and cheapest) way to get there is to fly from Ho Chi Minh—please see next section. 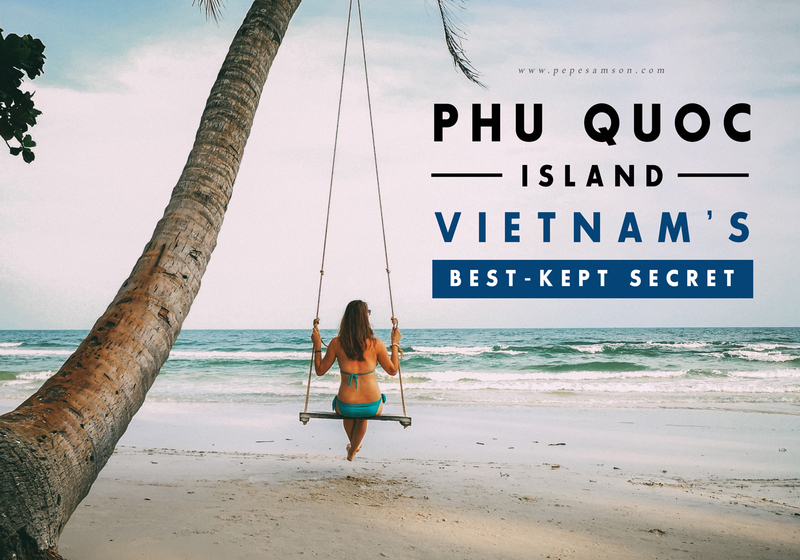 It would be most ideal to go to Phu Quoc if you are within Vietnam already. The cheapest flights come from Ho Chi Minh, for as low as 25 USD (~PhP1,300/580k VND) per way (check VietJet Air, Vietnam Airlines, or JetStar). Travel time is only an hour. 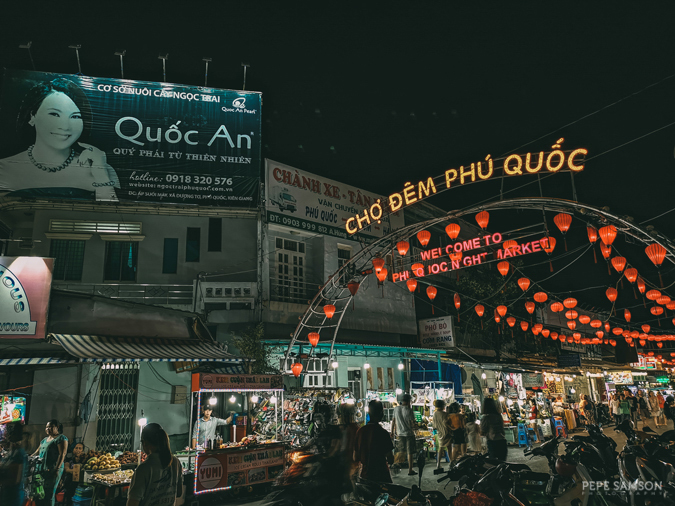 If you are exploring Vietnam from South to North, you can then book a flight from Phu Quoc to Hanoi—and from there, explore the rest of the country! Alternatively, you can take a “Fast Ferry” to Phu Quoc from the towns of Ha Tien (1.5 hours travel time) or Rach Gia (2.5 hours travel time). Prices per way are around 12 USD (~PhP630/280k VND); however, the downside is that it takes about 6 hours to get to these towns from Ho Chi Minh. In addition, the ferry carries cargo as well, so you will possibly encounter a whole lot of other stuff. I would personally not take this slower option, but I wanted to let you guys know that there is an alternative. Phu Quoc is generally warm all year; however, the hottest months are April and May. To enjoy milder temperatures and less chance of rain, plan your visit around November to March. 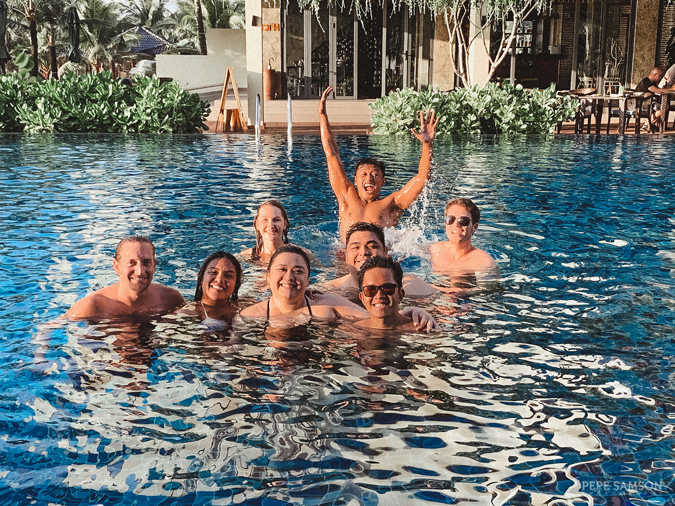 We stayed at the Dusit Princess Moonrise Beach Resort (check rates), a relatively new beachfront property along Long Beach (it was actually only 6 months open when we went). 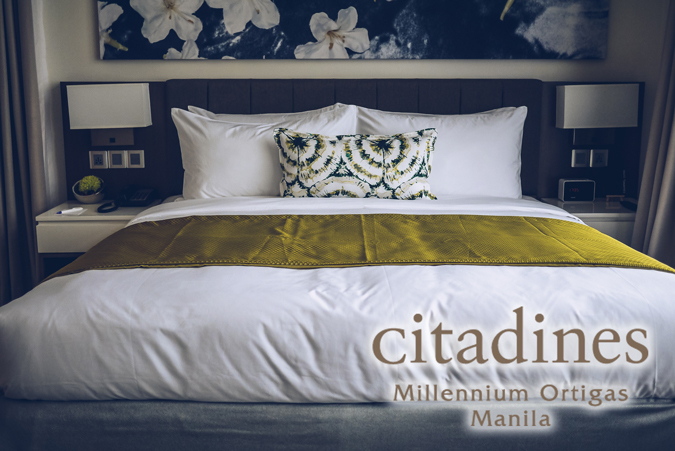 The rooms are gorgeous, the infinity pool has a stunning sunset view, and the hotel itself is centrally located—a few minutes away from downtown and some of the good bars along the main highway. While I think that the resort still needs to polish its operations (particularly in F&B), I really find their food really good—especially at Soi 14, which offers spruced-up Thai street food. 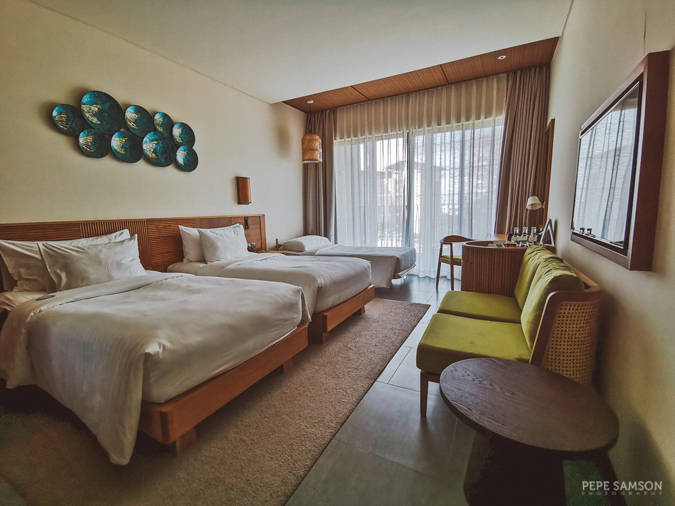 In addition, the resort amenities are really stylish, the rooms comfortable, and the staff genuinely warm. I will tell you more about Dusit Moonrise in a separate article, so stay tuned. Like the rest of Vietnam, Phu Quoc is fairly cheap. However, expect to pay a little bit higher since this is a getaway island being developed for leisure and indulgence. 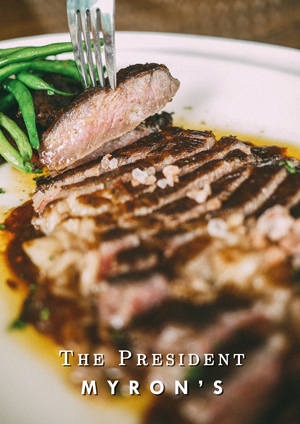 For instance, an average meal in our hotel ranges from 10 to 15 USD (~PhP500 to PhP750/230k to 350k VND). 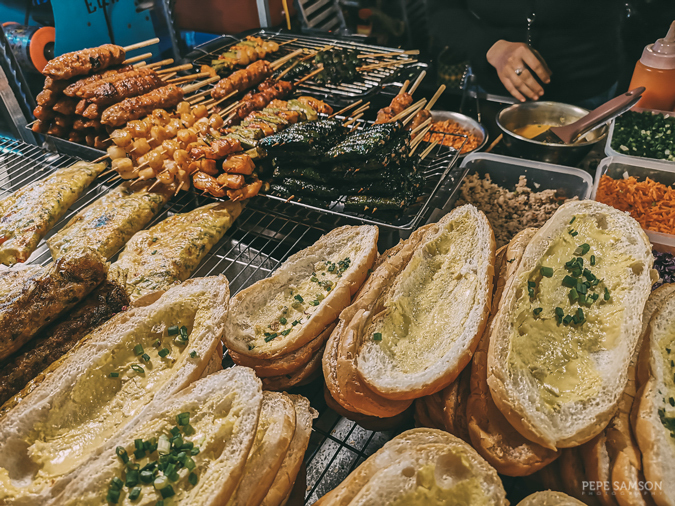 Definitely, if you dine outside, like downtown or in the night market, the food is much cheaper—around 4 to 7 USD (~PhP200 to PhP350/93k to 162k VND). 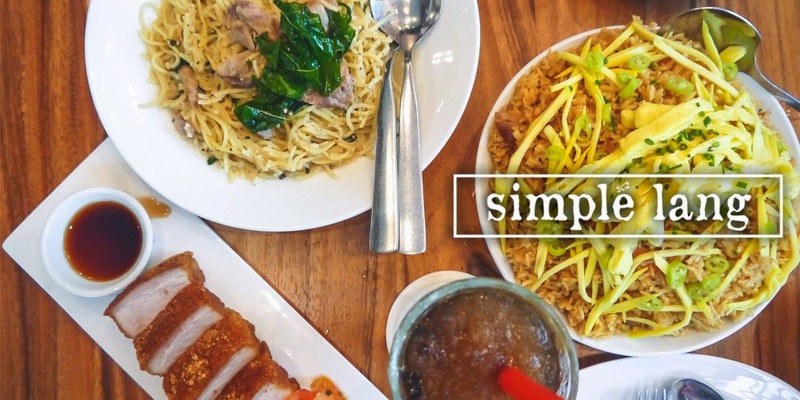 If you are planning to do sightseeing for a whole day, enjoy an average-priced dinner, and grab some drinks after, expect to shell out about 40 to 50 USD (~PhP2,000 to PhP2,500/930k to 1.2M VND) per day. Bring enough cash as there's a limited number of ATMs—change your currencies to Vietnamese Dong in Saigon or Hanoi. Taxis are aplenty in Phu Quoc, and you can easily get one even in the wee hours of the night—thanks to the active nightlife scene. Depending on how far your resort is located, you can reach downtown with only 2 USD, on the average (~PhP100/46k VND). If you are planning to stay longer and you wish to explore by yourself, I suggest renting a motorcycle or a bicycle—rates are as low as 8 USD (~PhP400/185k VND) and 3 USD (~PhP150/70k VND), respectively. 1 | Chill and lounge lazily by the beach. I chose this as the first item because this was my favorite activity in Phu Quoc. During my visit, I had a real vacation where I didn’t care if my photos were ugly or if I were capturing enough memories in my camera—I just enjoyed myself, which is a rare achievement! My friends and I relished the resort facilities, my favorite being the sunken pool bar, of course. Dusit Moonrise’s infinity pool has a breathtaking view of the sunset at Long Beach, so guests usually hang around and drink cocktails before dusk. You can sunbathe, swim, read a book, have snacks and beers within the resort’s gorgeous premises—or any beach in the island, for that matter. 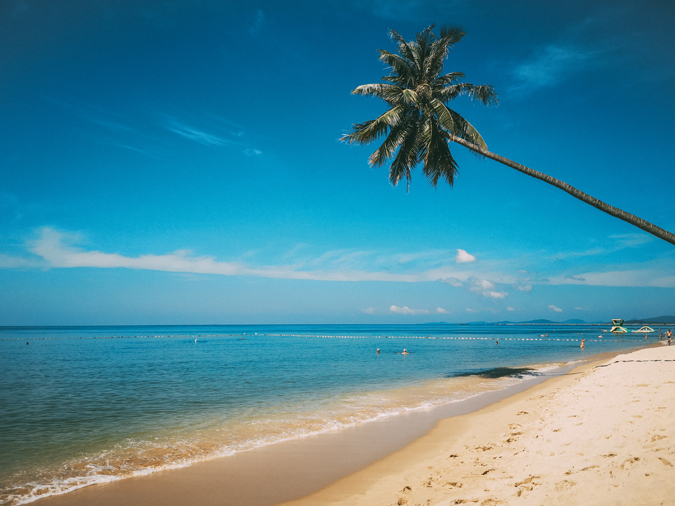 Phu Quoc is totally conducive to beach bumming! 2 | Visit remote islands and deserted beaches. Phu Quoc is actually just one of the 28 islands comprising Phu Quoc District (Kiên Giang Province). Other than the main developed island, you can go on a day trip to the other uninhabited islands with untouched beaches. No resorts, no shops—just soft sand and turquoise waters. 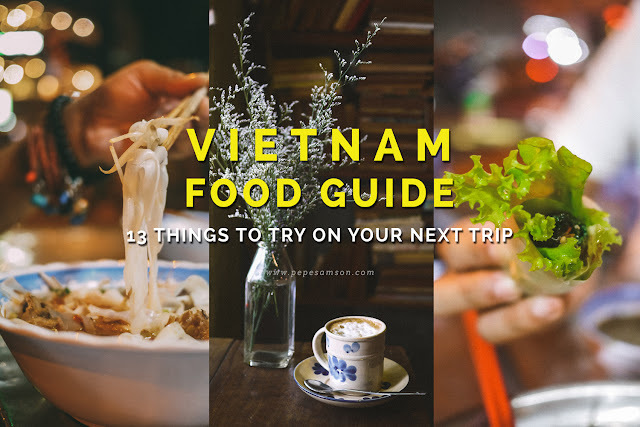 Two of the most popular are Hon Xuong, where you can feel like a castaway, and Hon Thom, accessible via an oversea cable car—which is also the world’s longest! Sao Beach, a popular day tour destination, is known for its powdery white sand. 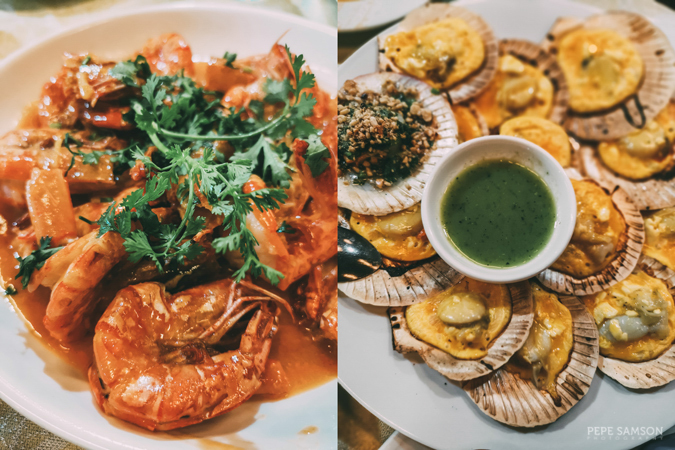 3 | Have a gustatory and visual feast at the Phu Quoc Night Market. Duong Dong, Phu Quoc’s main town, becomes alive at night as food sellers set up their booths at the Phu Quoc Night Market. With over 100 stalls, travelers will find no shortage when it comes to choices: there’s fresh seafood, street snacks, Vietnamese dishes, beers, coffee—even non-food items like clothing and accessories! I highly recommend popping into a seafood restaurant and choosing from freshly caught bounties displayed in tanks—clams, squid, prawns, crab, scallops, snails, sea urchin, and all kinds of fish. 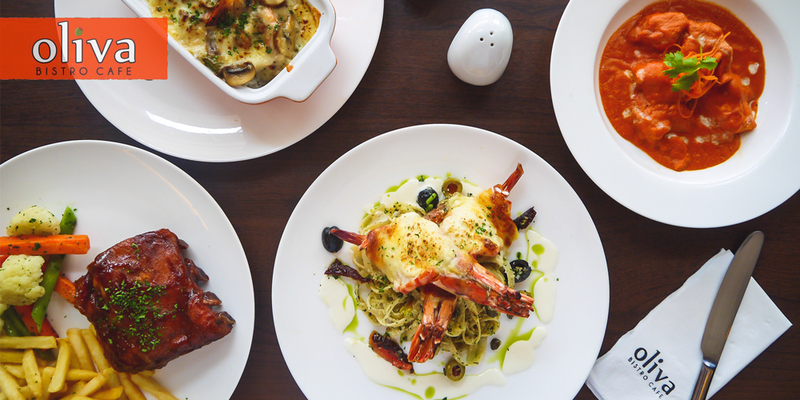 Bring heaps of appetite! 4 | Party all night. 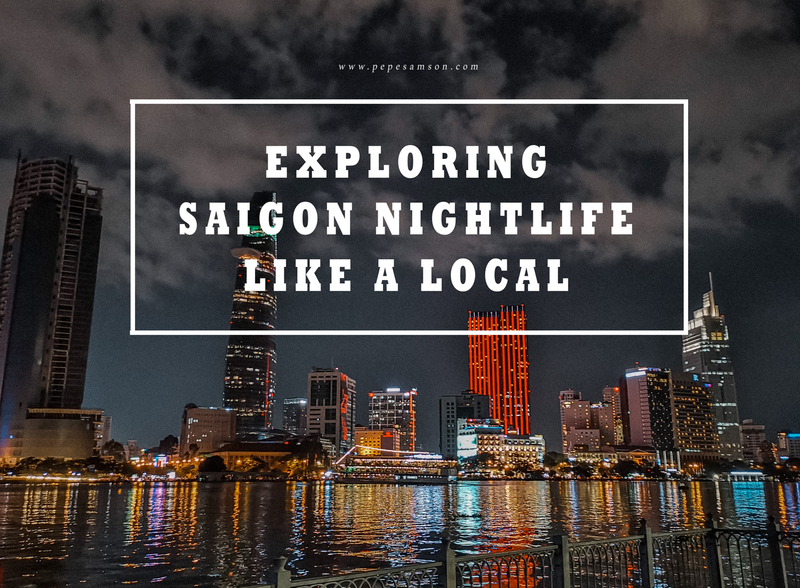 I’m surprised at the nightlife scene of Phu Quoc—I didn’t expect it to be super fun! It’s not something you would call a party island but there’s a huge selection of bars, pubs, and clubs, frequented by locals and tourists alike. Whether you’re looking to sit down with some beers, dance the night away, enjoy views from a rooftop, do pole dancing (we stumbled upon this one by accident, LOL), or mingle with new friends over cocktails, there’s definitely something for you. Drinks are reasonably priced—around 2 USD for beers (~PhP100/50k VND) and 40 to 60 USD (~PhP2,000 to PhP3,000/930k to 1.4M VND) for a bottle of imported whisky, gin, or rum. 5 | Be immersed in nature at the Phu Quoc National Park. 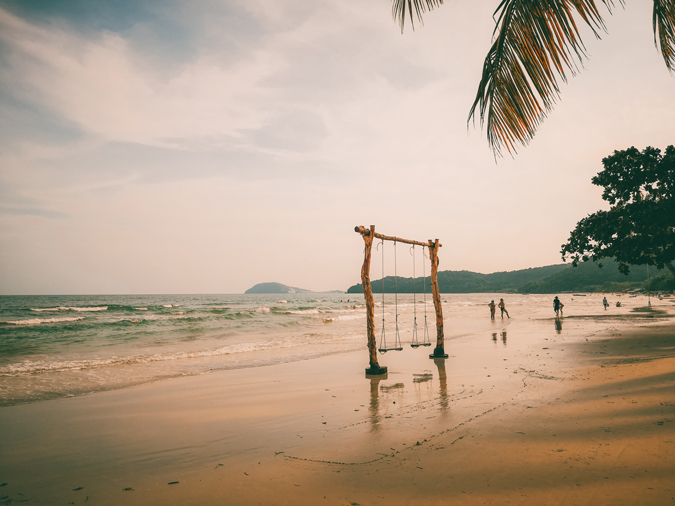 If you’re a nature lover, head over to the north and visit the 314,000-square-meter Phu Quoc National Park, which occupies more than half of the island. Prepare to encounter rare animals such as long-tailed macaques, otters, silver langurs, and a variety of birds. Trek through the lush landscapes and admire the assortment of unique flora and fauna. To get to the park, you need to either book a tour (see below link) or go there by yourself via motorbike. 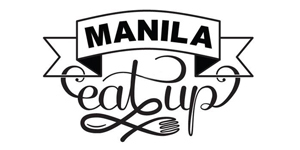 6 | Learn about the local culture and specialties. Phu Quoc takes pride in its two most popular products: fish sauce and black pepper. With the island’s massive fishing grounds, locals make the famous fish sauce from anchovies—it’s the Vietnamese equivalent for what olive oil is to Italians. The pepper, on the other hand, has a distinctly rich flavor, and is widely grown inland. 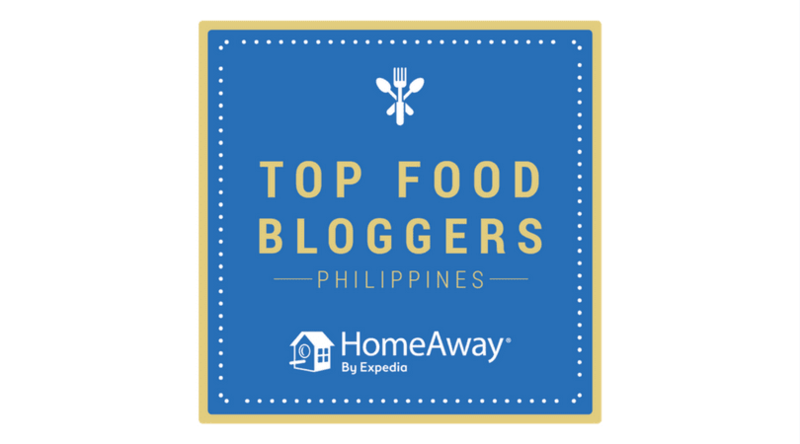 Both are perfect souvenirs to take back to friends and family, especially those who love food and cooking! There are several pearl farms you can visit, as well! 7 | See the island’s historic and cultural attractions. 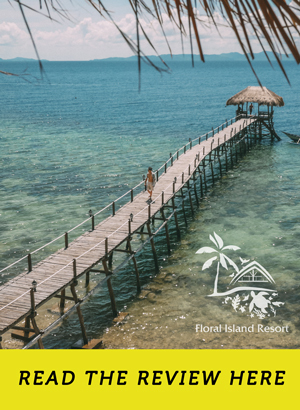 Get to know the island more by visiting its significant landmarks, such as the Ho Quoc Temple, Phu Quoc’s largest Buddhist temple with a view of the sea; Dinh Cau Temple, dedicated to the sea goddess to keep the fishermen safe; and other meaningful shrines around the island. 8 | Marvel at marine wildlife and catch your own lunch. Phu Quoc’s rich marine life makes it a favorite destination not just for fishing but for snorkeling as well. With over a hundred species of corals, fish, and mollusks, adventure seekers should be able to spot some rare species. 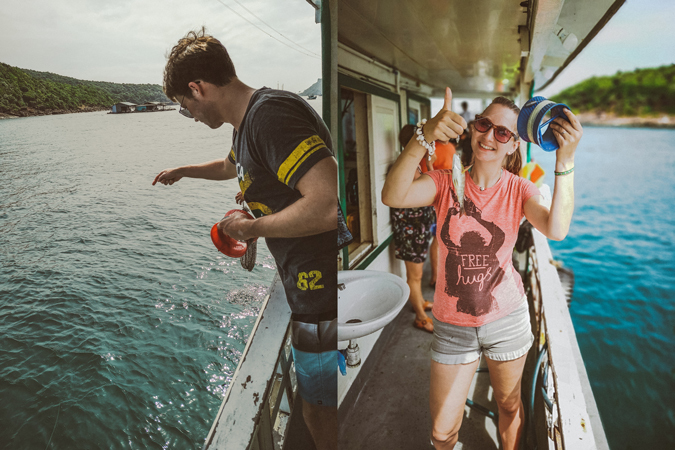 Book a tour to the northern or southern parts of the island to discover Phu Quoc’s underwater gems! 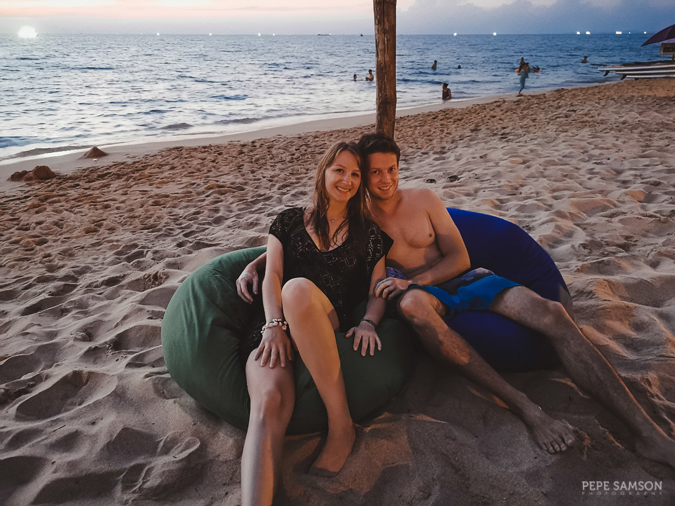 Phu Quoc is the kind of place you would want to get stuck in for weeks, with nothing to do but dig your feet in the sand, laze about with some food and drinks, sleep in a hammock, and worship the sun. As I wrote this guide, I couldn’t help but worry about the island’s future: will tourism destroy it? Will the beach shacks and palm trees be stripped away and get replaced by more sprawling theme parks and luxury resorts? 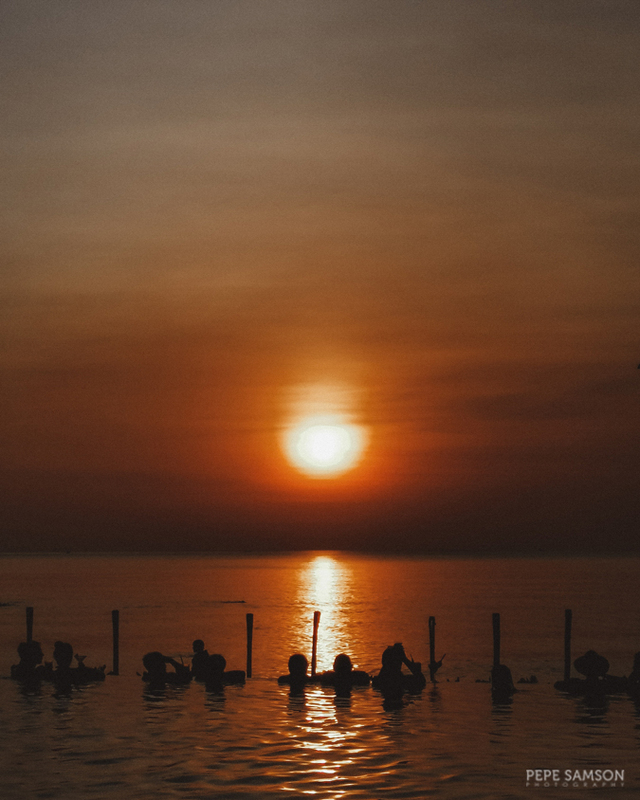 As I recalled how serene it felt to just admire the amber glow of the setting sun, with only the sound of the waves in the background, I couldn’t help but pray that the Vietnamese government is perfectly capable of handling this huge tourism venture. Phu Quoc is the kind of place you would want to see before it changes drastically. Hurry—and if you do go, please be a responsible traveler. • Book your flight to Phu Quoc here, here, or here. • Check affordable Phu Quoc accommodations here. Feel like a local with this motorbike food and drinks tour! 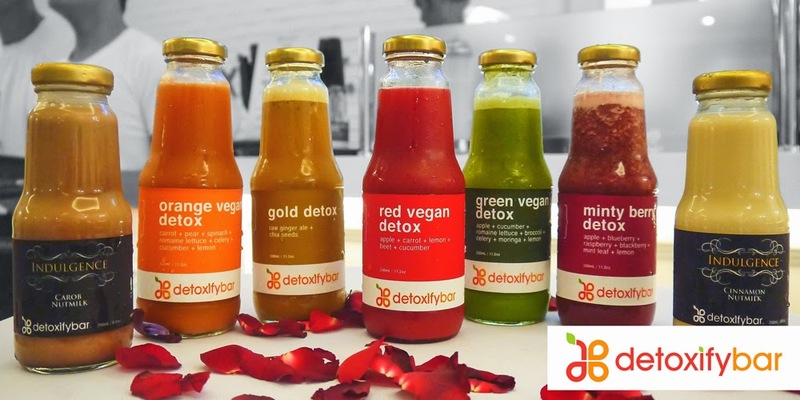 Beyond pho, banh mi, and Vietnamese coffee! 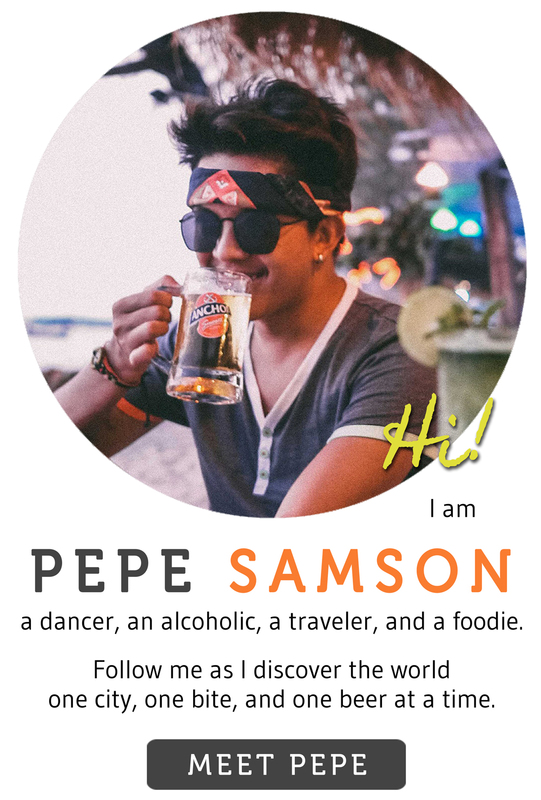 * All photos without the Pepe Samson watermark belong to Christina Huber, obtained with permission. 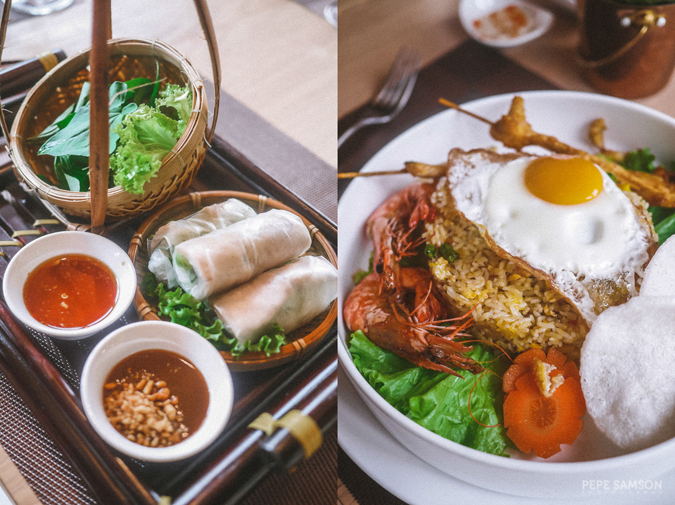 Have you been to Phu Quoc? What do you think about the island?